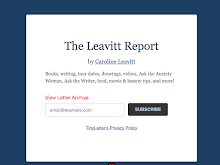 CAROLINELEAVITTVILLE: Jessica Anya Blau talks about the Wonder Bread Summer, face creams, writing, and so much more. 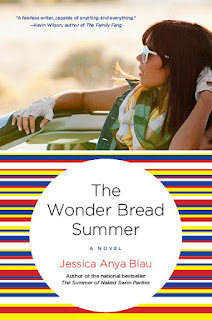 Jessica Anya Blau talks about the Wonder Bread Summer, face creams, writing, and so much more. 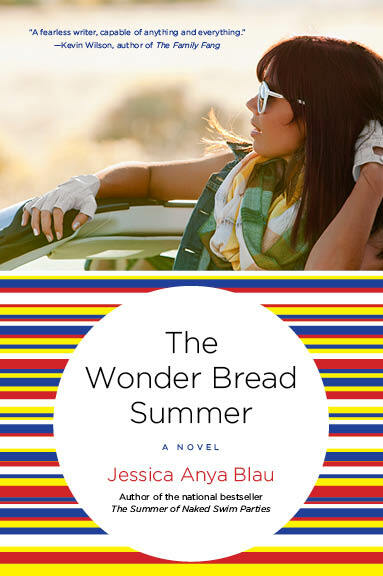 Jessica Anya Blau isn't just the author of Drinking Closer to Home, The summer of Naked Swim Parties, and her extraordinary new novel, The Wonder Bread Summer. She's also one of the smartest, funniest, most generous writers on the planet. I'm so thrilled and jazzed to have her here. Thank you, Jessica! My blog is always your blog! When I was in college I got a summer job at a tiny little dress shop on a shady intersection in Oakland with a liquor store across the street, a rib joint down the street, and a few boarded up old houses across the street. No one ever came in the shop and the owner paid me with cash from the register. I didn’t figure it out right away, but eventually I realized that the store was a front for cocaine dealing. And, when the owner locked the shop door and tried to talk me into taking off my clothes, I realized he didn’t even care if I made any sales. When I look back on that time in my life I see myself as someone who always wanted to please people and be friendly and good. And someone who didn’t know how to say no. I tried hard to never “disappoint” people and that, at times, led me into horrible, messed-up, murky situations that were hard to get out of. I took this idea of myself as vulnerable like that (at the dress shop) made it a little bit worse (or maybe a lot worse!) and wrote the novel from there. The Wonder Bread Summer not only has a great title, but it has this wild and wooly humor to it that I just love. So does this fit in with your basic world view? Well, yeah, I guess. I do think that pretty much everything is funny. It runs in my family. When my mother was in Intensive Care in the hospital and the doctors were telling us she wasn’t going to make it through the night, my brother, sister, father, and even mother (when she was conscious) had a whole lot of good laughs about . . . well about everything except the fact that she was in the hospital. Meanness, torture, poverty, and abuses of power are not funny at all. But a life survived can be pretty funny. People are odd. We’re all dorks. We’re all ridiculous. Just being alive is hilarious to me. Did you research the 80s for this book and what was your research like? Anything surprise you? No, no research. Other than going to Google and asking what the top TV shows were in 1983, or Googling the top 40 music, etc. The rest is pretty much from memory. 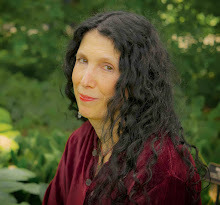 Can you talk about your writing life? Are you a creature of habit? do you have rituals? How DO you write? Do you plan things out like John Irving or do things unfold for you organically? I usually have a nugget of an idea to start with and then I just write forward and figure it out as I go along. There is often some vague notion about where I’ll end but by the time I get to the end, everything has changed and I’m writing something totally different. What I do next is rewrite from the beginning and revise it as the story I ended up writing and not the one I had intended to write. I drink a lot of tea while I write. And if there are snack foods around, Cheese Nips, or something horrible like that, I’ll eat them continuously! 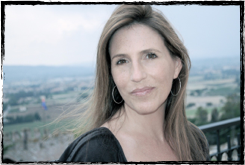 What authors influence you and why? Oh, everyone influences me, everything I read. I read everything but fantasy, and all of it feeds into me. I don’t try to deliberately copy anyone but sometimes when I’m writing, I feel a sort of déjà vu and I realize that what I’m doing is somehow related to having read so and so. I’m reading Justin Cronin’s book now and read Dave Eggers latest just before that. I read and loved Pictures of You! HMmmm, right now I’m obsessed with finding time. I have three major projects that I’m in the middle of and I worry I won’t be able to finish any of them. And then I have all this stuff I want to start. I have kids, a dog, a husband, a house, great friends and I need time to be with all of them and take care of the ones I need to take care of. I hope I live to 169 or something so I can love all the people I love and write everything I want to write. Oh, I teach every semester, too, and that takes time. I’m also obsessed with anti-ageing, sun-damage-repair face creams (see live to 169 above). I read about them online, read reviews and spend ridiculous amounts of money on them. Although I should point out the Olay Regenerist line is pretty darn great and not so expensive. And the L’Oreal BB cream is FAB! You ask great questions! Oh, movies, you didn’t ask about movies. I love movies almost as much as I love books. And I love great TV, too. Mad Men, GIRLS . . . I adored that Julia Louis Dreyfus show VEEP and am looking forward to it coming back.